In April, North Korea conducted a test of a submarine-launched ballistic missile (SLBM) and three tests of an intermediate-range ballistic missile, eliciting international condemnation. On April 28, North Korea conducted two test launches of its intermediate-range ballistic missile, known as the Musudan. The same day, U.S. Strategic Command released a statement saying that “[i]nitial indications reveal the tests were not successful.” These tests followed an earlier attempt on April 15, which failed after diverting from a normal trajectory. (See ACT, May 2016.) North Korea first displayed a mockup of the missile in an October 2010 military parade. The Musudan is estimated to have a range of up to 4,000 kilometers. North Korea’s SLBM test did garner Security Council condemnation. Launched April 23, the KN-11 reportedly flew 30 kilometers before exploding, according to the South Korean joint chiefs of staff cited in a May 1 Yonhap News article. The test may have been designed merely to evaluate “the submarine’s launch systems, missile ignition sequence and initial guidance operations rather than a full operational test,” according to Joseph Bermudez, chief analytics officer for AllSource Analysis, writing for 38 North, an online publication of the U.S.-Korea Institute at Johns Hopkins University. More Nuclear and Missile Tests Pending? North Korea’s ruling Korean Workers’ Party held its seventh Congress on May 6-9 (see box below). Ahead of the gathering, South Korean intelligence officials warned of an impending nuclear test by Pyongyang. (See ACT, May 2016.) On May 16, Lim Byeong-chol, director of South Korea’s unification ministry, said that South Korea was still bracing for another nuclear or missile test following the Congress, according to Seoul’s Yonhap News. According to a March 15 story published by Pyongyang’s state-run Korean Central News Agency, North Korean leader Kim Jong Un declared that North Korea would conduct a “nuclear warhead explosion test and a test-fire of several types of ballistic rockets capable of carrying nuclear warheads…in a short time to further increase the reliability of nuclear attack capability” and ordered preparations to be made. Another nuclear test would constitute North Korea’s fifth since 2006. On May 6-9, North Korea held the seventh Congress for its ruling Korean Workers’ Party, which since 1946 has served as a forum for setting political priorities and rolling out policies. The Congress was last held in 1980, when Kim Jong Il was named heir apparent. 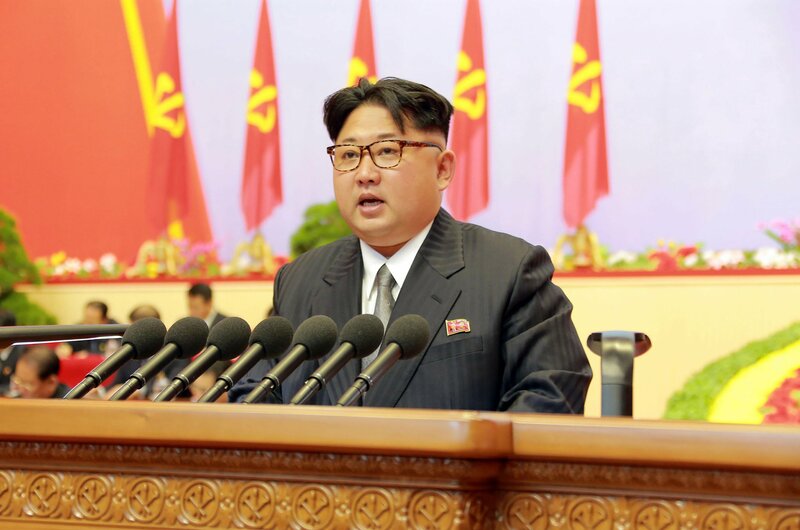 At the gathering, the country’s leader, Kim Jong Un, spoke about Pyongyang’s nuclear posture. He stated a discretionary no-first-use policy under which, “[a]s a responsible nuclear weapons state, [North Korea] will not use a nuclear weapon unless its sovereignty is encroached upon by any aggressive hostile forces with nukes, as it had already declared,” according to transcripts made available by the National Committee on North Korea, a Washington-based nongovernmental organization that focuses on U.S.-North Korean relations. As Kim highlighted, North Korea has previously described itself as a “responsible nuclear weapons state” and declared a no-first-use policy. On Jan. 6, the North Korean government released a statement that it “will neither be the first to use nuclear weapons…under any circumstances as already declared as long as the hostile forces for aggression do not encroach upon its sovereignty.” The statement was released via the state-run Korean Central News Agency following Pyongyang’s fourth nuclear test. In the same Jan. 6 statement, North Korea stated it will not be the first to “transfer relevant means and technology” for nuclear weapons. Kim reiterated this position at the Congress, stating that Pyongyang “will faithfully fulfill its obligation for non-proliferation and strive for the global denuclearization.” North Korea has a known history of proliferating nuclear delivery technology to other states and is believed to have aided the construction of a suspected plutonium-production reactor in Syria, which was destroyed by Israel in 2007 before being completed. Kim also stated that the “Party and the [North Korean] government will wage a vigorous struggle to radically put an end to the danger of nuclear war, imposed by the U.S., with powerful nuclear deterrence and defend the regional and global peace.” Earlier in 2016, North Korea released a propaganda film depicting a nuclear intercontinental ballistic missile attack on Washington.